Happy New Year my loyal readers! I hope you have all had joyous holidays!! We have had a very slow and relaxed time here in the hollar reading books, knitting, playing family games, snuggling kittens… I felt so lazy It’s very hard for me to just chill. Speaking of kittens, they have been fitting in very well around here. In fact, last night I found all four cats snuggling on the couch and no one was hissing about it! 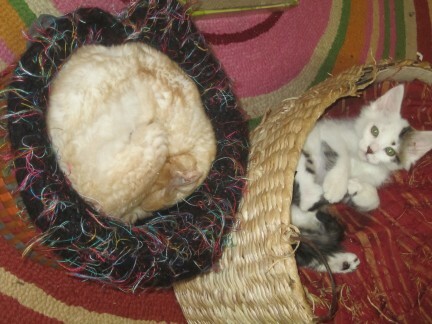 There has been a bit of a competition for the only sleeping basket, though. Cookie Dough and Oreo fit in there nicely together. 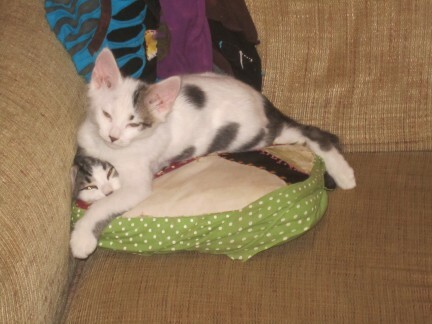 It’s a great spot for snuggling and for practicing their ninja fighting skills on each other. 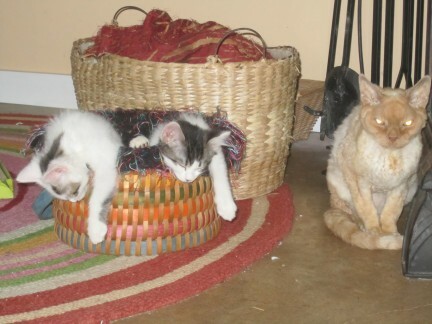 Max, however, felt it was his job to show the little guys how he could make himself into a perfect circle. Of course, Isabella wanted in on the action. Max wasn’t too sure about this. 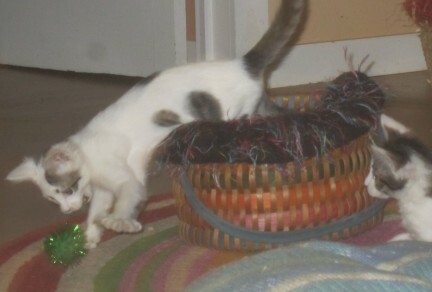 So far, there is no clear winner in the Basket Wars. 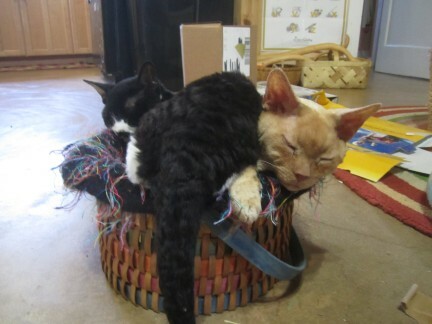 Luckily, those not in the basket are finding other comfortable ways to get some sleep. Well, maybe not so comfortable. Meowwww! Ninja attack move #286. 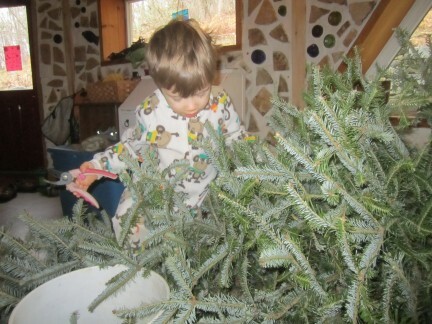 Oh yes, repurposing your holiday trees. 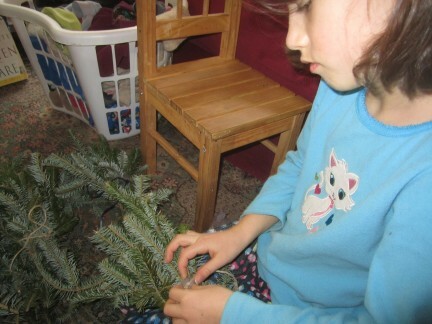 Some years we will get a tree with a root ball so that we can plant it in the yard when the holidays are over. 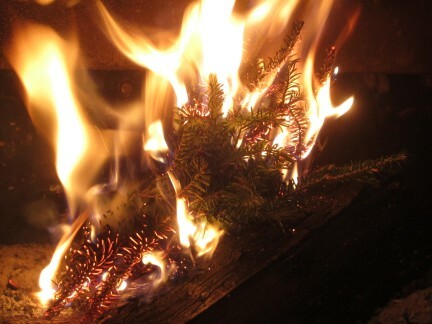 This year, we got a cut tree and decided to recycle it by making fragrant pine fire-starting bundles. 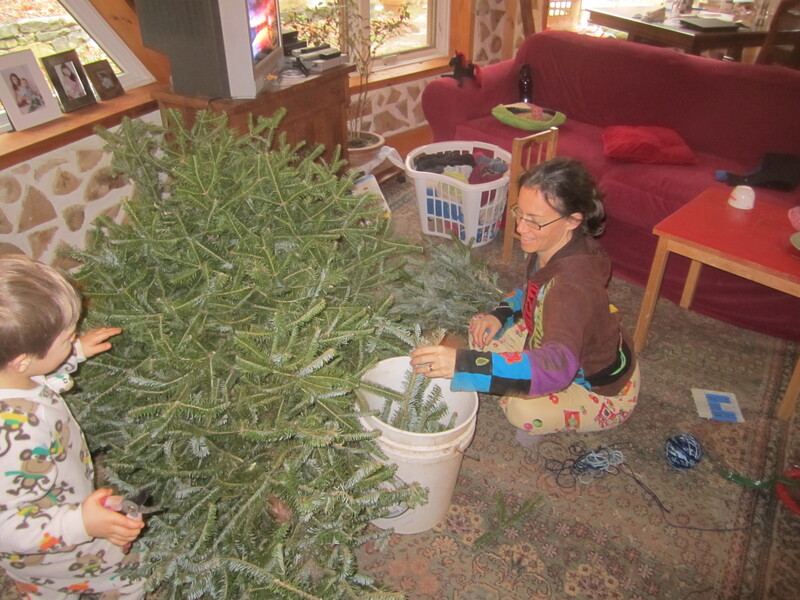 Everyone helped snip branches, arrange, and tie the bundles. Kaia even cleaned out the lint trap in the dryer and stuffed some lint into each bundle (lint is a great fire starter). Any plans for the year to come? « Holiday Blessings to all of you! This is the first time we have done a cut tree, in about 16 years (we’ve done an icky artificial)…we will be throwing the whole tree (once we get around to undecorating it) out into the pasture, to make a tasty treat for our goats, sheep and alpacas. Plus it’s hilarious to watch. Take Pictures! I want to see that! 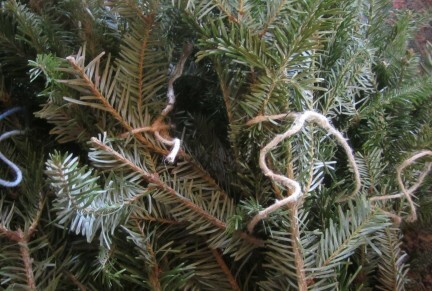 Our tree gets redecorated for the birds and wildlife and set out on our nature trail. When all the tasty treats are gone, it goes in the woods at the back of the trail where it provides a great nesting spot for wild birds and slowly returns to the forest. The fire starters are a great idea, too!